One of my favorite composers, the quintessential Classical era composer, Wolfgang Amadeus Mozart, is known for his virtuosity on the piano and violin. His many great compositions for the piano and violin reveal his knowledge in those instruments. But it is not just the violin and piano that Mozart knew well. He could bring out the beauty of many instruments that are used in the symphonic orchestra. 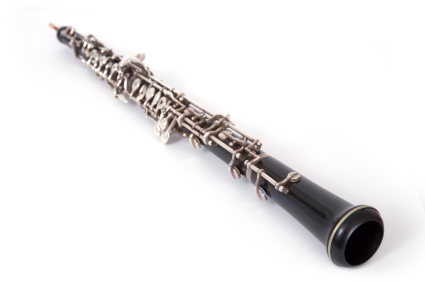 For example, I believe Mozart was the first composer to utilize the clarinet in the classical orchestra. It is because of his wonderful clarinet concerto and his clarinet quintet that I became a huge fan of the clarinet and in fact name that as my favorite instrument [closely followed by the piano and violin]. Mozart once said he was not a big fan of the flute, but that did not stop him from composing a great concerto for the flute. Mozart was also able to bring out the beauty of the Oboe. He showed his knowledge and the ability to bring out the best in this instrument with his Oboe Concerto in C Major and in one of my favorite chamber music pieces of all, his Oboe Quartet in F Major. This quartet for Oboe, Violin, Viola and Cello is exquisitely beautiful and soothing and the Oboe oozes a sunny happiness in this piece. And of course we have the extraordinary Adagio movement of the "Gran Partita" for winds by Mozart, where he brings out the beauty of not just the oboe, but all the wind instruments that he uses in this piece. Mozart's Oboe Concerto is in the traditional three movements: 1. Allegro Aperto, 2. Adagio ma non Troppo, and 3. Rondo: Allegretto. His Oboe quartet also has three movements: 1. Allegro, 2.Adagio and 3. Rondo: Allegretto. Please turn up the volume and see how Mozart could bring out the beauty of the Oboe in these three wonderful pieces.